Welcome to T’Frere’s House Bed & Breakfast; where Cajun hospitality and modern luxury create a visit unique to any other in the Acadiana area. 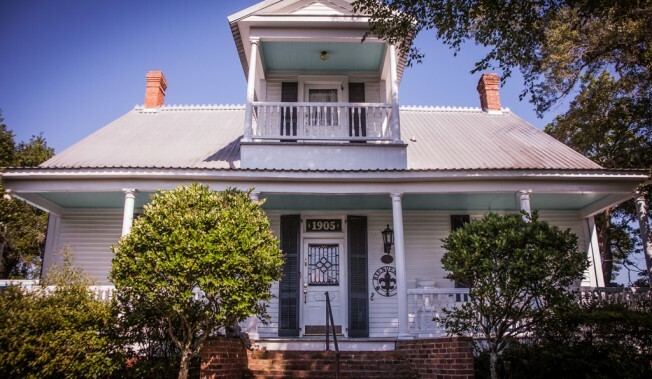 Whether visiting for business or pleasure, all guests enjoy the ambiance of this century old home with full use of the parlor, dining room, glass enclosed porch, kitchen, courtyard, and garden. “Chez Nous et Chez Vous” – Our house is your house! We desire our guests to feel they are at home away from home while staying at T’Frere’s. Our amenities, such as wifi, luxury bedding with allergy-free options, in room coffee service, cable programming, guest refrigerator with drinks and snacks, and private baths in every guest room are a few of our benefits. T’Frere’s offers accommodations for over 20 guests through eight (8) exquisite guest rooms. The Main House (La Grande Maison) features 6 bedrooms; all unique in style, but equal in comfort and opulence. The Garconniere, nestled in the gardens behind The Main House and the newly renovated courtyard area, features two additional suites for those who desire more privacy.